Hearts - three stacked hearts highlight this simple design, perfect to announce your new arrival. 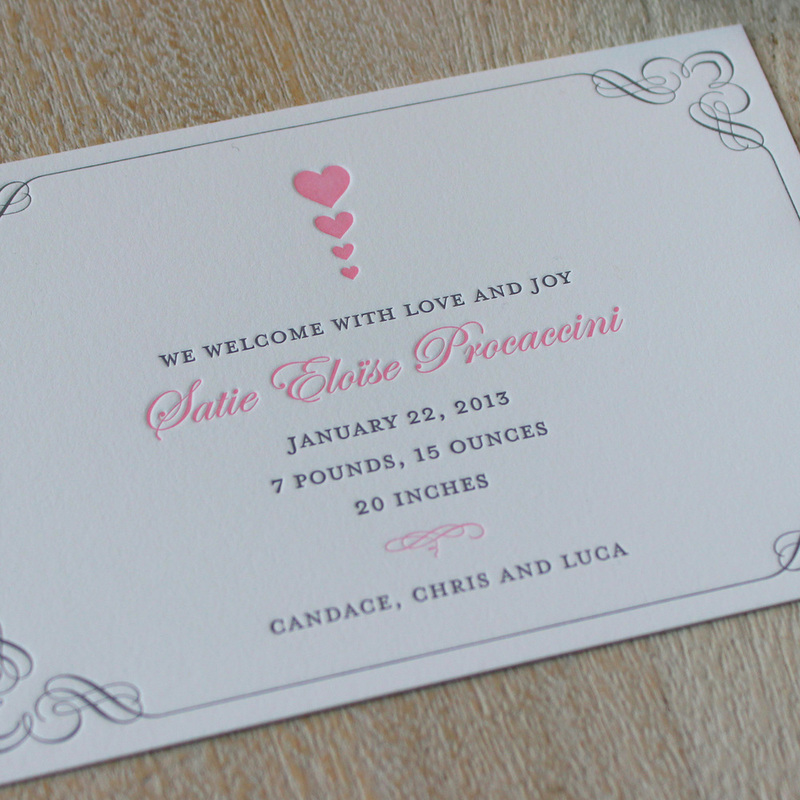 It goes without saying that a motif featuring hearts is perfect to capture the joy of a new arrival. 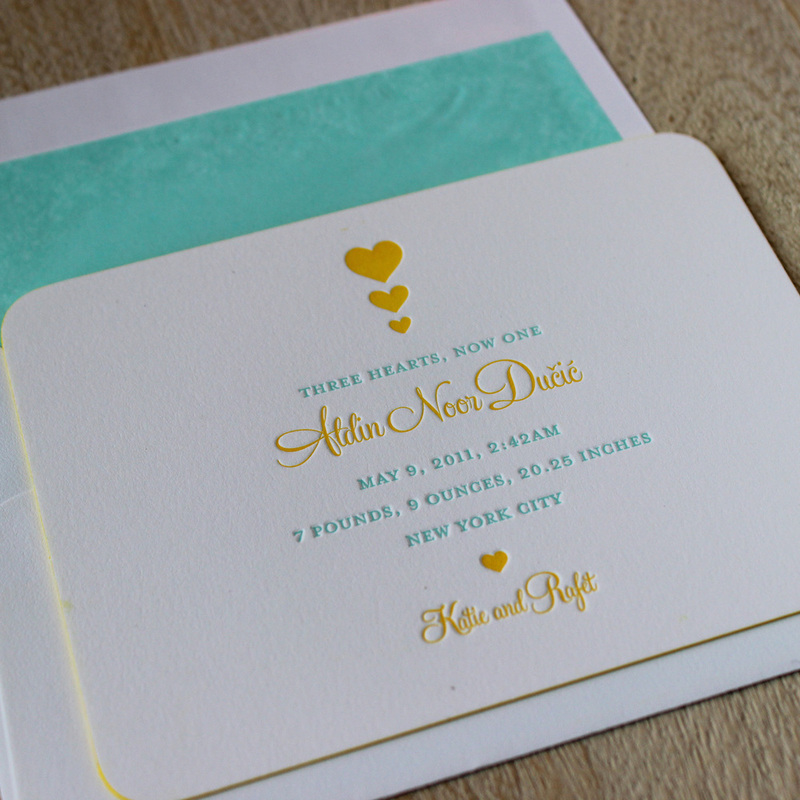 We really like the illustration of three stacked hearts on this letterpress baby announcement. Add a little flourish with a decorative border, rounded corners, or a brightly colored painted edge.